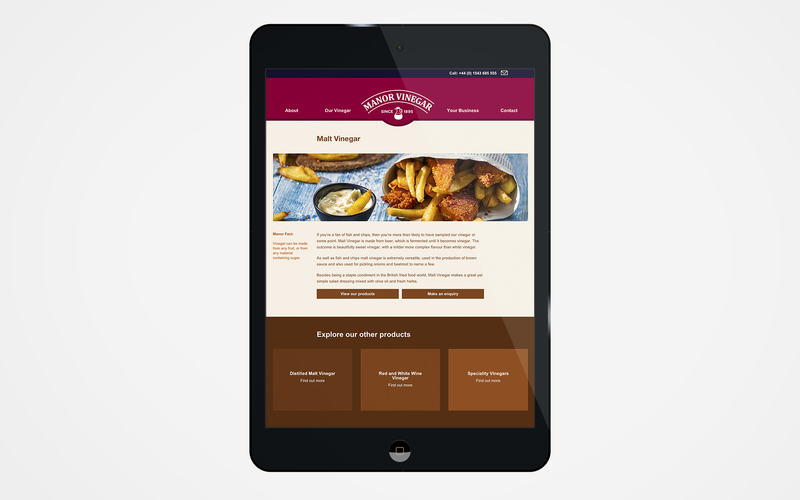 Manor Vinegar had never had a website before; they approached us as we have great experience in the food and drink sector, especially with manufacturers, both big and small. 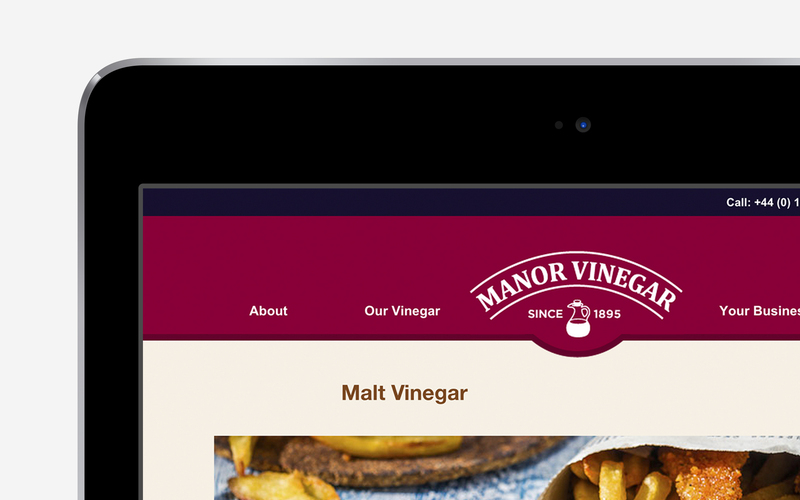 The brief was fairly simple, Manor Vinegar required a website that gave them a good representation online, was fit for purpose and would give them a good presence in the search rankings. A website nowadays can’t just be an online brochure, it needs to have a purpose. So, based on the nature of the business, we designed the site around a minimum amount of clicks, coupled with clear user journeys through the site based on different demands. Each route ends with a call to action: a phone number, email or online form. 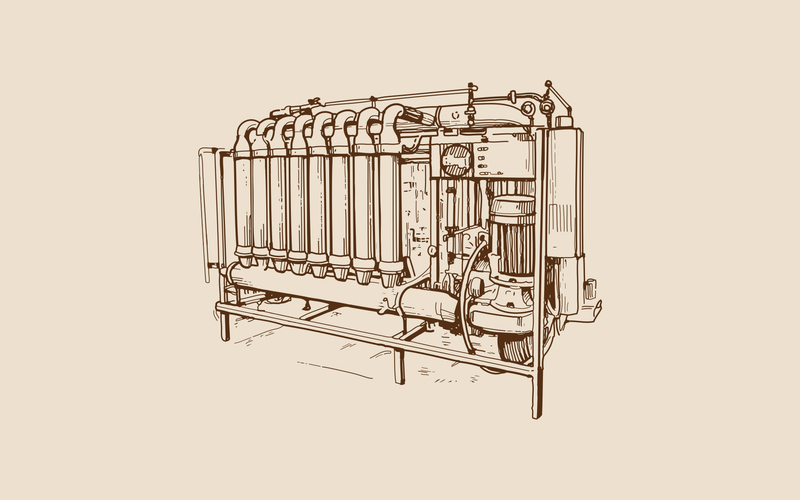 As a point of difference we also hand drew and digitised a series of illustrations to provide a vintage diagram feel to the site. 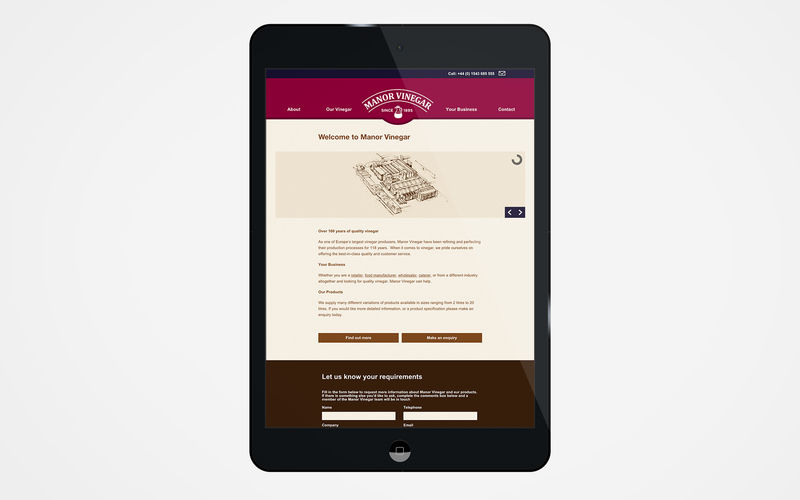 The site performs excellently in the search rankings, with enquiries coming in daily from persepective customers who may not have known about Manor Vinegar previously.